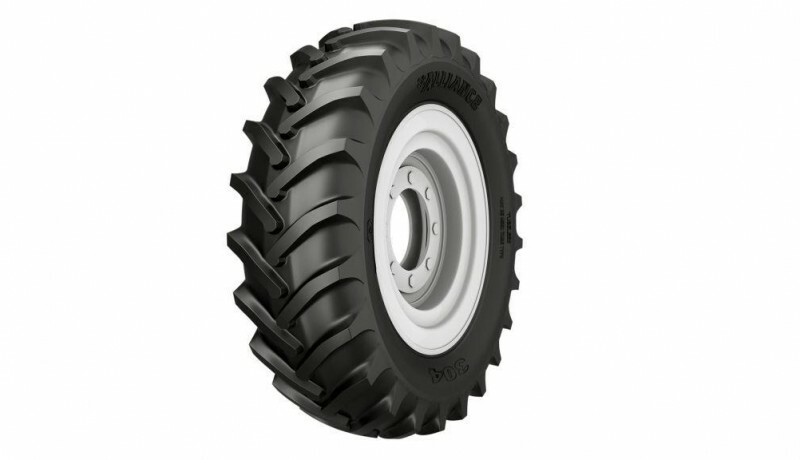 The Alliance 304 is an R-1 tread drive wheel tire for application as Rear tractor tire. The Alliance 304 is an R-1 tread drive wheel tire for application as Rear tractor tire. Its knife like lugs is designed for deeper penetration of the ground. The double angle design with a wide space between lugs ensures efficient self-cleaning properties in any kind of soil. The design, based on 45° angle bar with center studs, provides better resistance to side slippage and continuous rolling. The tire is recommended for hillside operations and for occasional short drives on-the-road. A strong nylon carcass guards against mechanical failures and moisture deterioration.